The world-famous conductor offered his support to the embattled city that was devastated by Islamic State terrorists. Renowned conductor Valery Gergiev will lead a concert in the ancient Syrian city of Palmyra to support the restoration of the UNESCO site and honor victims of the war. The world-famous conductor offered his support to the embattled city that was devastated by Islamic State (IS, formerly ISIS/ISIL) terrorists who occupied the site for some 10 months before it was liberated by Syrian troops with Russian air support. Over the past year, the ancient UNESCO heritage site saw the destruction of such magnificent monuments as the Arch of Triumph, the Temple of Baalshamin, and the Temple of Bel. Besides reducing the iconic sites to shambles, terrorists looted museums and mutilated exhibits. A team of international experts is currently working to preserve what is left after IS’s 10-month reign in the city and renovate artifacts severely damaged by the militants. Gergiev will conduct a symphonic orchestra performance titled “Pray for Palmyra. Music revives ancient remains” to commemorate those who lost their lives liberating the city from IS and to back the tremendous efforts needed to restore Palmyra’s ruined architectural gems. This is not the first time Gergiev has staged a performance in a war-torn region as a symbolic humanitarian gesture. 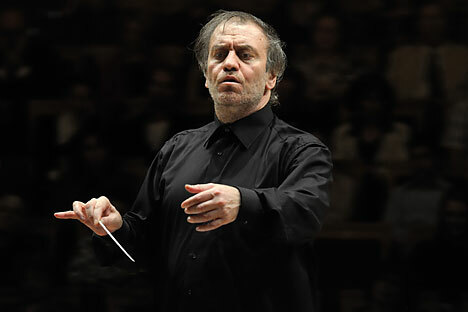 Gergiev, an ethnic Ossetian, was born in Moscow, but spent his entire childhood and youth in North Ossetia. Following an armed conflict in South Ossetia, which was then part of Georgia, Gergiev conducted the Mariinsky Theater’s orchestra in the breakaway province’s capital of Tskhinval to pay tribute to the victims of Georgia’s August 2008 invasion. That conflict saw the Georgian army heavily shell the city with rocket fire targeting civilian infrastructure, killing up to 2,000 civilians as well as the Russian peacekeepers stationed there. Russia responded by deploying ground troops to force Georgia to cease hostilities and later recognized South Ossetia, along with the Republic of Abkhazia, as independent states.